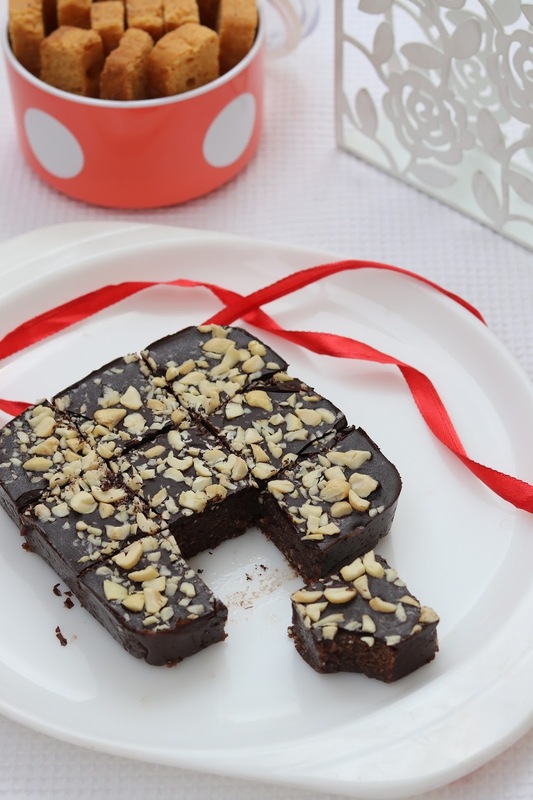 Chocolate barfi is quick and easy Indian festive dessert recipe which takes no time to prepare. Simple need few basic ingredients and a yummy Indian sweet is ready to serve to your guest. 1. In a non-stick pan, mix cocoa powder and milk to get a paste. DO NOT switch on the flame. Add condensed milk and butter and mix everything well. Once all 4 ingredients mix well, then switch on the flame. 2. Cook the mixture on medium-high flame till it starts to boil. Once boils, then switch off the flame. 3. Add biscuits and coconut in mixture and mix well. Switch on the flame and cook the mixture for 2-3 min on medium flame. 4. Transfer the mixture in greased box and press down to set the mixture nicely. 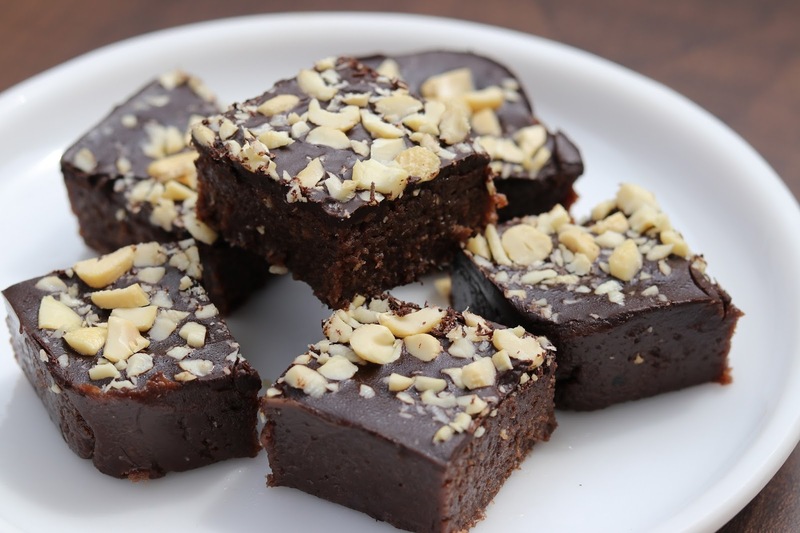 Top it with melted dark chocolate and sprinkle with chopped cashews. Keep the chocolate burfi mixture in refrigerator for half hour so that it sets. 5. Once set, cut into small pcs and store in air tight jar.